The first quarter of 2019 has brought much-needed optimism into the crypto industry, with data showing the first Q1 increase since 2017. While bitcoin broke through the $5,000 mark, the world’s largest cryptocurrency wasn’t the biggest gainer on the market, as ETH, LTC, and BCH all showed significant growth. Meanwhile, XRP has underperformed. Following a year-long bear market that resulted in massive losses across the crypto sphere, it seems that the first quarter of 2019 brought some much-needed fresh air to the industry. In what became the first quarterly increase in overall network valuations since Q4 2017, Bitcoin, the world’s largest cryptocurrency, broke through the $5,000 mark. Yet, despite Bitcoin being seen as the primary indicator of the market’s health, it wasn’t the best performer of the quarter. 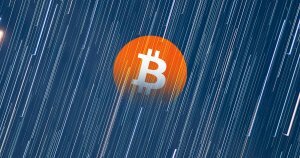 According to Messari, a cryptocurrency analytics company, 118 cryptos saw larger percentage increases in price, on a year-to-date basis, than bitcoin. Some of these coins were posting triple-digit increases. However, despite the significant growth altcoins have seen, most of the market’s capitalization stems from coins in the top 5 cryptocurrencies by market capitalization: Bitcoin (BTC), Ethereum (ETH), Litecoin (LTC), and Bitcoin Cash(BCH). While the world’s five largest cryptocurrencies are all showing significant weekly gains, more salient growth is visible when looking at the year-to-date change in prices. Bitcoin, the world’s largest cryptocurrency with $91.15 billion in market capitalization, has grown over 30 percent since the beginning of 2019. Ethereum also showed significant year-to-date change, increasing in price by 23.5 percent at press time. Despite being the world’s second largest cryptocurrency, Ethereum’s market cap is more than 5 times smaller than that of Bitcoin, at $17.8 billion. Ripple’s XRP, while being the third largest coin by market cap, has shown the least year-to-date gains. The coin increased 0.77 percent since this time last year and is trading at just over $0.36 at press time. Surprisingly, the biggest gainer among the top five isn’t Bitcoin Cash, despite gaining just under 99.5 percent since last year. Litecoin emerged a clear winner in the top five category in the first quarter of 2019, with a 300 percent year-to-date gain. Since the beginning of the year, Litecoin has moved from $22 up to $93 It’s also worth noting that both Litecoin and Bitcoin Cash now have roughly the same market capitalization. Litecoin’s major growth was fueled by an increase in the number of merchants accepting the coin, as well as improvements in the network’s transaction fees. However, when it comes to the other four coins mentioned there doesn’t seem to be a consensus on what exactly caused the breakouts. Various theories are floating around, ranging from market manipulation and unexpected fallout from an April Fool’s Day joke, to a whale’s massive buy order, all the way to general sell-side exhaustion of the market. And while there are cases to be made for each of those arguments, the sheer complexity of the crypto markets means it doesn’t necessarily need to be any of those explanations.